We left to get some gasoline. While there I had the best opportunity for evangelism that I’d had in several weeks, with two very interested employees at the station. I got to answer questions and explain a lot. Finally, we were able to locate the ministry’s director by phone. He was totally embarrassed and profusely apologetic. The date had been changed a long time ago but in switching the person responsible for the retreat among their team members, they had accidentally miscommunicated by using the old date. It was an honest mistake. He had wondered what Steve’s text sent earlier—“68 miles!”—was all about. I pondered how I might react in his condition. I don’t know how I would do. I anticipate grace would be supplied as needed, but who knows what pain or reversals bring? God doesn’t always deliver in the way we expect. God doesn’t always relieve as quickly as we want. Some people die. Some people get sick and don’t get better—for a long time. Some people live daily with the temptation to be utterly discouraged. Some rise above and praise God immediately, some later, some not enough. Most of us will do some of both. We should learn from all this. And we should read David’s psalms to feel the reality. My wife has been listening to several testimonies about suffering lately, preparing for a retreat. I want to say to her, “Don’t listen to those! God might decide to just make those stories preparation for our own suffering!” In fact, this is likely true in some sense—those stories can be a grace ahead of time for the suffering that certainly will come to each of us. Who will go entirely through life without suffering? There’s a man across the room here in the coffee shop where I’m writing this. I saw him a few nights ago and hope to get to know him. He’s lonely looking, bent over his computer, just as he was the other night. He’s gambling online. That’s the real suffering that should concern us the most. Emptiness on the way to damnation—darkness on the way to utter darkness. I would far rather suffer as my friend is in Indonesia with Christ and the confidence of future glory, than the way this man is suffering on his way to hell. Wouldn’t you? Our team has been blessed with much encouragement from God. But one couple on the team, Kole and Rachel Farney, have had a much larger dose of suffering than the rest. Please pray for them. Rachel is wrestling daily with an autoimmune disease that leaves her in much pain and consistent need for rest from all activity. She’s no complainer, but with two little ones, the strange pain in her body and the headaches are a trial. Along with this, she suffers from the ongoing effects of a serious car accident a few years ago. Her difficulties, which are ours together as a team, remind us of the better world ahead and the need for daily grace. Some of you reading this have similar and even far worse problems to face. God is there in the trial, but he is especially there at the end of the trail. We are planning trips now and are open to discuss possibilities for our team to help. We have several retreats before the year is out. Steve will be going to India in January, and I’m working on a trip to Italy and South Africa, the Lord willing. Other stateside ministry trips are on the calendar and in the pipeline. Please pray that we will be faithful to do all this work for the glory of God while we are able and with as much fervor and faith as possible. Pray that all our open dates will be filled and much good will be done. 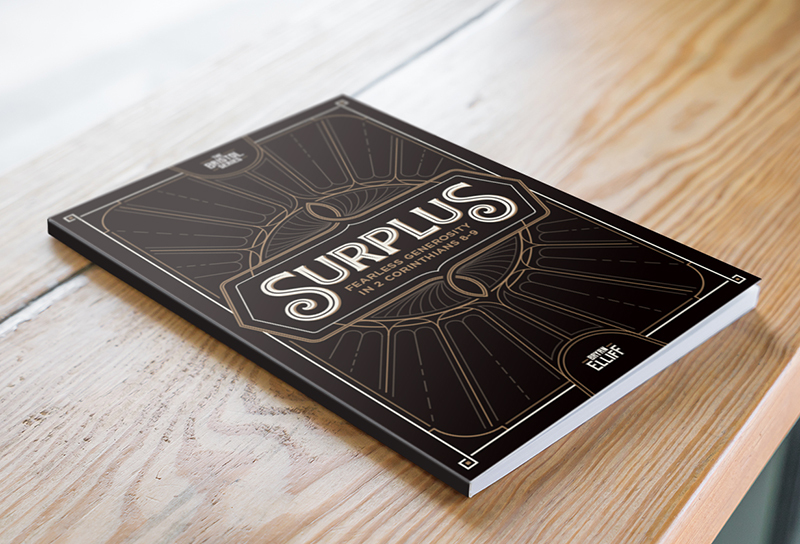 Our new book, Surplus, is getting close to completion. It could be a life changing read for you and a tool you might use to mentor others or work through in your groups. Let’s pray for God’s will to be done through it.